APRJC Hall Tickets 2019 Download: Andhra Pradesh Residential Educational Institutions Society (APREIS) is going to conduct the APRJC (Andhra Pradesh Residential Junior College) entrance test on may 9th, 2019 for aspirants seeking admission in Intermediate. This is the entrance test conducted annually to offer admission for students into Intermediate residential courses with free of cost. Annually a large number of students competes for the APRJC examination. The APREIS has released the APRJC official notification on 13th March. Candidates can refer the notification for complete details. The APRJC notification is accessible to download at aprs.cgg.gov.in. Candidates can go through the following article to check the details of APRJC Hall ticket 2018. 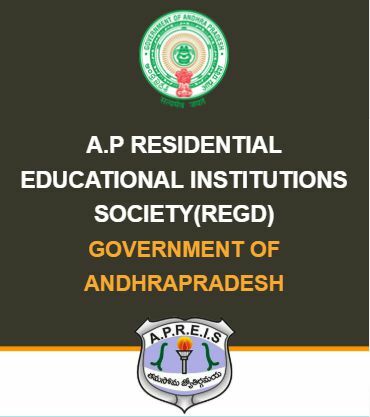 Andhra Pradesh Residential Educational Institutions Society (APREIS) annually conducts the APRJC examination to give admission for merit students into free intermediate residential courses. Students qualifying the APRJC examination with good merit will get admission in various government Intermediate residential courses. This year the APRJC Examination will be held on 9th May 2019. Candidates going to appear for the APRJC examination must download APRJC hall ticket 2018 to appear for the test. Candidates must show the admit cards at the examination center. The examination officers will not permit the candidates if they do not show the admit cards. The admit card/hall ticket will be accessible to download from 4th week of April. Candidates can download APRJC Hall ticket from aprs.cgg.gov.in. Download and preserve the hall ticket safely to carry it to the examination. Candidates going to appear for the APRJC examination can check the details of examination center, date and timings of the examination details from the hall ticket. The APREIS will also provide the details of candidate’s name, father’s name, scanned photograph, and other details on admit cards. Check all the details clearly once after downloading the admit cards. APRJC Hall ticket 2019 will gets downloaded.